New research from the British Chiropractic Association showed that lifting and carrying can trigger back pain for almost half (49%) of people in Wales, and this number could even be higher for those carers who are often putting additional stresses and strains on their bodies. To coincide with Back Care Awareness Week (3 - 8 October) The Whitchurch Clinic has developed the following simple tips for all carers to help them whilst they’re helping others. Think ahead - assess each situation and look for the best and easiest way to achieve the desired result, this may mean using any available equipment whether it be for specialist lifting or a simple sack barrow for moving boxes of supplies. Follow the weight - always try and face the direction in which you want to carry any weight - your body is strongest when you are square on to the weight. Take care when lifting - never lift while twisting from the waist. Bend your knees, try to have a relaxed, straight back and if possible, brace your abdominal muscles. For added stability make sure that your feet are about a shoulder width or more apart before lifting. Supportive shoes are essential - wear good, soft-soled shoes that are supportive and have a good grip on the ground. Take regular breaks - if doing a repetitive task, take a break every 20 minutes and do some simple stretches to relax your muscles. Ask for training - if in a formal setting make sure you have been properly trained in good lifting techniques and on any equipment you are using. Tim Hutchful from the British Chiropractic Association comments: “Carers spend long periods of time on their feet and put a lot of strain on their bodies, from lifting and assisting the person they are caring for, to moving equipment. Even though our bodies are very well adapted to a variety of tasks, carers need to be particularly careful not to overload themselves and put their backs at risk. The Whitchurch Clinic recommends a very simple three minute exercise routine entitled ‘Straighten Up UK’ from the British Chiropractic Association (BCA) has developed which is really easy to incorporate into daily life to help strengthen the spine and improve posture. The exercise routine can be accessed on the BCA website here: http://bit.ly/straightenup. 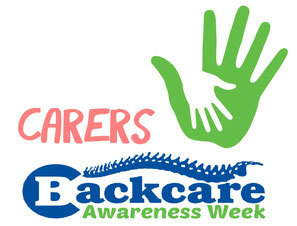 To summarise Backcare Awareness Week this year is centered around support for Carers. Carers can range from parents caring for their children, family members caring for a loved one or caring within a work environment. Here at The Whitchurch Clinic are here to help you with the diagnosis, treatment, and management of your pain. 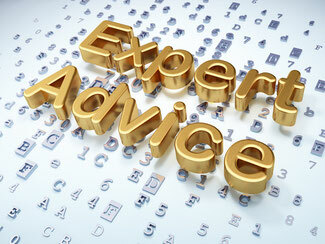 Please give us a call on 02920 617700 to see if we can help you today.